One of the most talented music directors that Punjab has produced was Vinod. His real name was Eric Roberts but for the film industry he chose a more familiar name Vinod. According to Sardul Kwatra, another Lahore-born music director who knew Vinod since his days in Lahore, as a child Vinod was fascinated by the band music played during Hindu weddings. Vinod also listened carefully to the rababi musicians performing shabad kirtan at Gurdwara Dehra Sahib, Lahore. According to Sardul, Vinod became a student of Lahore’s famous music director Pandit Amar Nath and learnt from him the fundamentals of ragas and composing tunes on a violin. By 1946, he had started composing music for a number of films, including three Hindi films and a Punjabi film Chaman. However, Chaman could not be taken up due to communal tension in Lahore. It was made in India after 1947 for which Pushpa Hans and Shamshad Begum lent their voices. Vinod gave Lata Mangeshkar three songs to sing. All three numbers became landmark songs. Those were the days of tension on both sides of the Radcliffe line. While the film did not do well in Pakistan, the music of the film did a decent business. By 1944, most of the Lahore-based music directors like Khurshid Anwar, Shyam Sunder, Hans Raj Behl, Rashid Atre, Feroze Nizami, Ghulam Haider, Pandit Husna Lal Bhagat Ram had shifted to Bombay. Pandit Amar Nath and Pandit Gobind Ram were the only ones left in Lahore. After Pandit Amar Nath’s death in 1945, Vinod was asked to compose music for his mentor’s films Khamosh Nigahein, Paraye Bas Main and Kamini. However, none of the films did well at the box office. 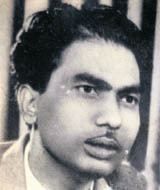 Vinod got a good break when he composed music for Hindi film Ek Thi Ladki (1949). The film was a success and its song Lara lappa lara lappa layi rakhda, addi tappa addi tappa layi rakhda sung by Lata Mageshkar`A0became a hit. The number was based on a Pahari folk tune of Kangra. Following this, he composed music for another Punjabi film Bhaiya Jee in 1950. Lata sang several memorable songs for this film of which Ajj mera mahi nall tutt gaya pyar ve akhiyan na maar ve became a landmark. According to Sardul Kwatra, Vinod had no Godfather like Shanker and Jaikishan had in producer-actor Raj Kapoor and producer Amiya Chakravarty and Naushad had in producer Mehboob Khan. Roop K. Shori, for whose films Vinod composed many songs, did not belong to the big league. When Shori a film producer in Lahore moved to Bombay, he took his entire team with him which included music director Vinod and lyricist Aziz Kashmiri. Among some of Vinod’s best-known creations were the musical compositions of Anmol Rattan (1950), Wafaa(1950), Sabaz Bagh(1951), Aag ka Dariya(1953), Laadla(1954) and Makhi Choos(1956). Vinod worked for a little while as a music director in Filmistan Studios too. A characteristic trait of Vinod’s music was that he inserted Hindi songs in Punjabi films and Punjabi lyrics in Hindi film songs. According to Kelly Mistry, Vinod’s son-in-law, on an average Vinod did one or two successful films a year from 1948 to 1957, but this was not enough to ensure a decent living in a city like Bombay. Vinod, in spite of being thoroughly professional, was never financially well off. A Punjabi to the core, Vinod longed to compose music for Punjabi films but after 1951 music directors Hans Raj Behl and Sardul ended up getting all the music direction contracts. Vinod composed music for only five Punjabi films — Chaman (1948), Bhaiya Jee (1950), Mitiar (1950), Ashtalli(1954) and Nikki(1958). Vinod died penniless at 37 on December 25, 1959. Although Vinod composed music for 32 films, but most of these films were under small banners and the music of many was let down by the film’s poor showing at the box office. His last three films were released after his death. One of Vinod’s masterpiece creations is the music for the Punjabi film Mutiar (1951). One of its Urdu ghazals Aye dil mujhe jaane de, jis raah pe jaata hoon sung by Talat Mahmood simply stands out. Its Punjabi version was never recorded.